In Book XXXIX of his monumental work The history of Rome, Titus Livy tells us that, in 187 B.C., the Roman legions, led by Consul Caius Flaminius, defeated and subdued the indigenous Ligurian populations of the Tuscan and Emilian Apennines and, after pacifying these territories, they built a road to link Bologna with Arezzo. By Imperial times this road, evidently carried out for military reasons, had already fallen into disuse; its disappearance was the result of neglect and by being looted by man, apart from destruction by natural events and, where it did survive, it was buried beneath two thousand years of sedimentation. No trace had ever been found of it until the last decades of the 20th century. Scholars limited themselves to simply making conjectures and theories as to its real route. 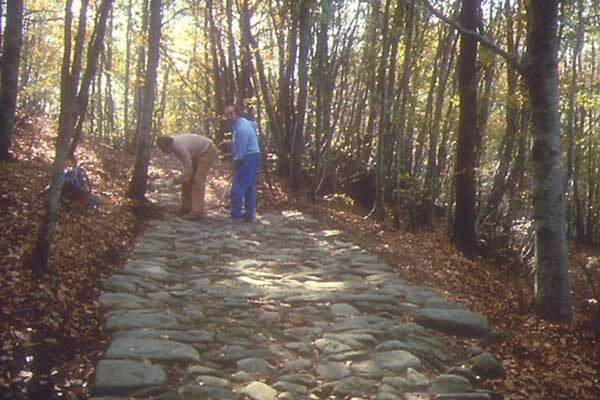 Two men from Bologna, Cesare Agostini, a lawyer and Franco Santi, a craftsman sculptor, whose families originate from the village of Castel dell'Alpi, situated in the upper valley of the river Savena, have spent all their spare time in the search for this Roman road since 1977. They based their searches on the brief amount of information provided by Titus Livio, the only historian to mention it. 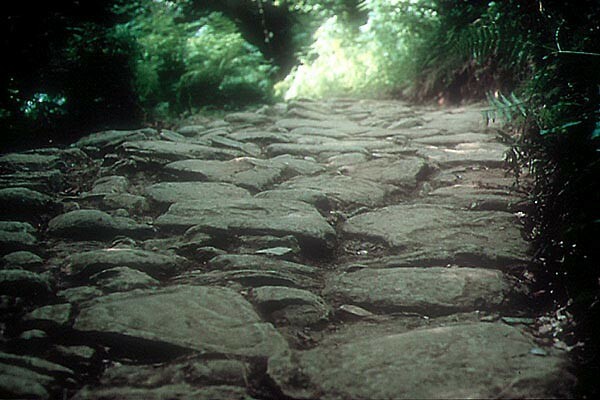 They were convinced that, if Livy's account was true, some traces of the road, even if buried, must have been preserved, especially in places that had always been uninhabited and wild, like the mountain passes of the Tuscan and Emilian Apennines, where man would have found it difficult to carry off the paving stones and where it would have been spared by landslides and floods. 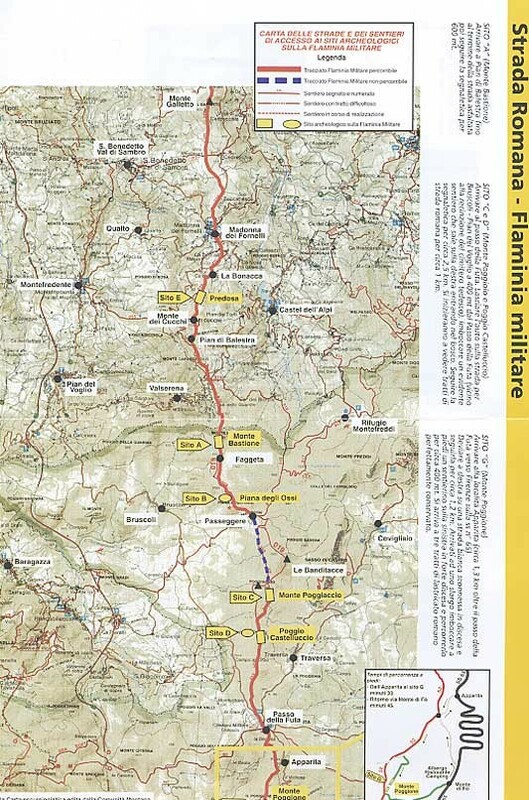 Although they realised that they were taking on an extremely difficult task, in 1977 Agostini and Santi started their search, thoroughly investigating every hill ridge that extends from the territory of Bologna towards the mountain passes of the Tuscan and Emilian Apennines, in the narrow strip that lies between the Reno and the Sillaro river valleys. When they had completed their surface prospecting, they decided that the most likely path, because it was the shortest, on a firm terrain and passed only a few hills, was the one that followed the ridge between the Savena and the Setta-Sambro rivers. 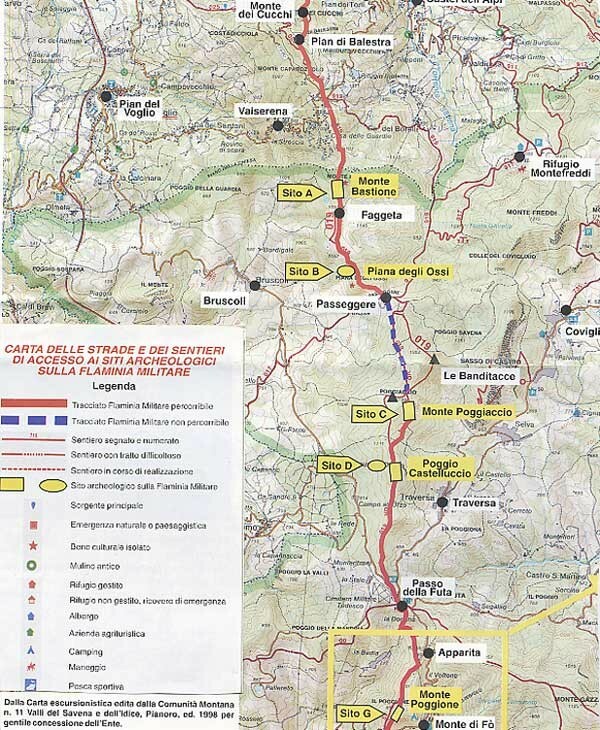 It was in fact the most direct route to the Futa Pass, and thence the Mugello, from Bologna. Making the most of their knowledge of the territory, the two amateur Bolognese archaeologists attacked the thick woodland with pioneering enthusiasm. They cut back bushes, brambles, ferns and whatever else impeded their search and carried out small excavations here and there along the ridge, wherever they thought they were most likely to find traces of the road. They hoped to come across a few contiguous stones under the earth that could testify to the work of man. Their perseverance was finally rewarded in 1979 when they discovered, a first stretch of paving 60 cm beneath the ground, near the top of Mount Bastione. 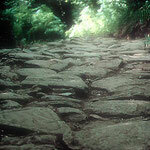 It was built with large well-aligned stones, with an overall width of 2,40 m., which corresponded exactly to 8 Roman feet. After this first discovery, they continued to work enthusiastically on further research and excavations, always carried out by hand, for another ten long years and gradually brought to light various stretches of paved road, covering a length of 7 km, as far as the Futa Pass; they also found several other imposing remains, like the Ligurian Castellers on Mount Bastione, on Mount Poggiaccio and on Poggio Castelluccio and the brick works in the Piana degli Ossi, etc. With the help of volunteers and friends, they continued their prospecting and excavations southwards in the years that followed, over the Futa Pass, bringing to light further stretches of perfectly preserved paved road. After carrying out research throughout the territory for twenty years, further integrated by their historic studies and specific research into ancient road communications, C. Agostini and F. Santi published a thick book called " THE 2nd CENTURY.B.C. 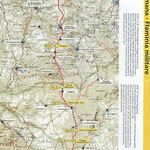 BOLOGNA-FIESOLE ROAD (the Flaminia Military Road) - Published by the CLUEB Publishing House in Bologna in May 2000 which is a synthesis of all their discoveries and studies. The book has led to their discoveries receiving scientific recognition from the highest authorities in the studies of Roman history and ancient topography. 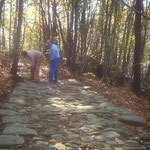 This archaeological discovery has in fact made a fundamental contribution to the history of the ancient roads through the Tuscan and Emilian Apennines. 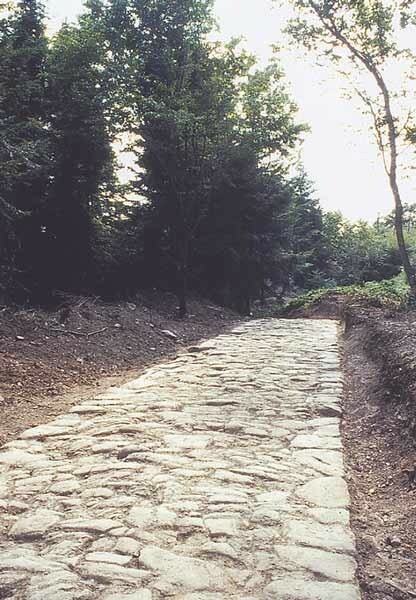 The discovery of this road also confirms the importance of the Bologna-Florence route, still used by the motorway and railways, from very ancient times. The book is particularly interesting for lovers of nature, ancient history and archaeology. 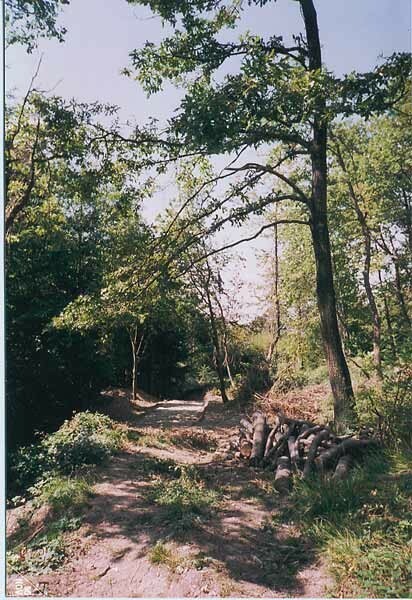 The descriptions and the illustrations contained in the book offer the chance to carry out wonderful walks along this ancient Roman road. 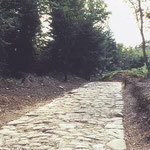 They can thus enjoy magnificent stretches of this perfectly preserved paved road that has been excavated in the upper part of the Apennine pass, from Pian di Balestra to the Futa Pass, and continues on as far as Santa Lucia, on the Tuscan side of the mountains. Bearing in mind that the visible stretches of road are to be found at a height that varies between 900 to 1200 metres above sea level, in uninhabited and heavily forested areas, the best time of year to visit the area is from May to September. From Pian di Balestra. Leave the Autostrada del Sole (Bologna-Florence Motorway) at Pian del Voglio and head in the direction of Valserena (7 km) and Pian di Balestra (another 2,5 km). 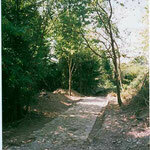 At the end of the tarmac road, take the unmade track for about 700 metres. 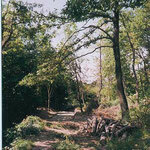 It is possible to see some remains of the Flaminia Military Road near the top of Mount Bastione. From the Futa Pass: follow the road to Bruscoli for about 400 metres: a wide track on the right leads into the beech and pine woods. Continue on foot and follow the signposts for about 2,7 km until reaching the first stretches of the Roman paving of Poggio Castelluccio that continue as far as Mount Poggiaccio (1,5 km). 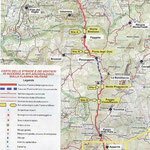 From L'Apparita: take the state road n.65 from the Futa Pass towards Florence for about 1,5km as far as the village. Turn off from here onto the unmade track that winds through beautiful woods for about 1,8 km (easily reached in a car with a four wheel drive). 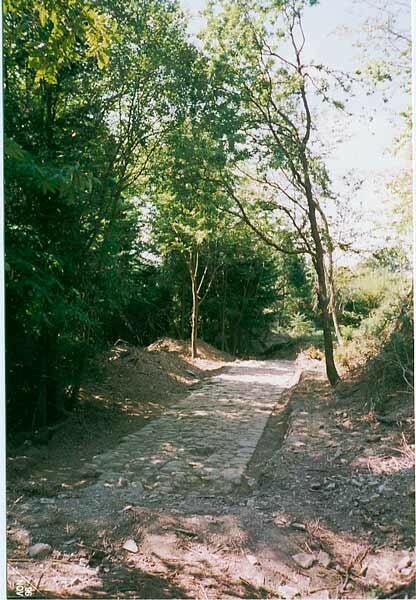 It arrives in a widening in the road with a narrow downhill path on the left; three stretches of perfectly preserved Roman road (Mount Poggione) can be admired after a walk of about 400 m.